This biweekly challenge was a Theme Challenge! 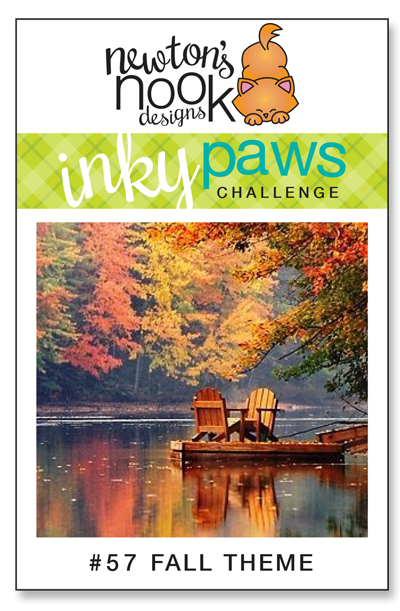 Inky Paws Challenge #57 Winner! 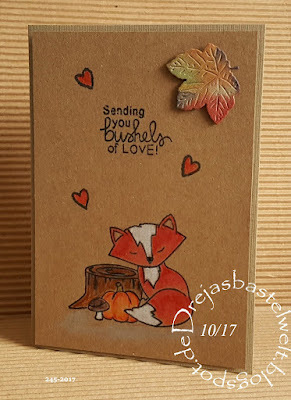 Dreja creates this delightful CAS card on kraft paper. The darling fox from Sweetheart Tails is colored wonderfully! 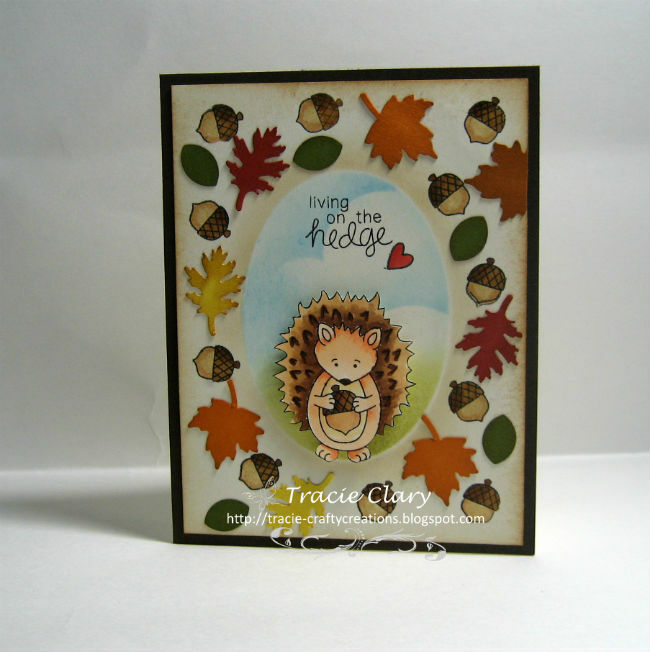 Tracie C. creates a fun autumn scene using the Hedgehog Hollow stamp set. I love the fluffy clouds int the background as well as the acorns and leaves falling around the edges. 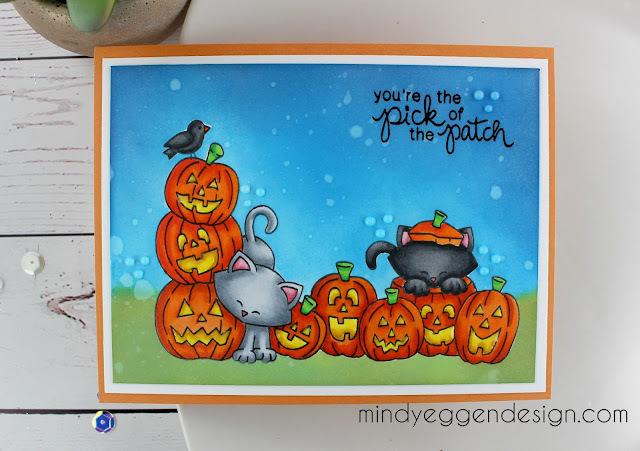 Mindy creates a delightful pumpkin patch scene using two of the images from Newton's Boo-tiful Night stamp set. Her bright colors and coloring of those kitties make for a festive card! Jennifer M uses Newton from Newton's Holiday Mischief stamp set to make this fun, festive autumn card. Her stunning water colored background and plaid paper working wonderfully together! 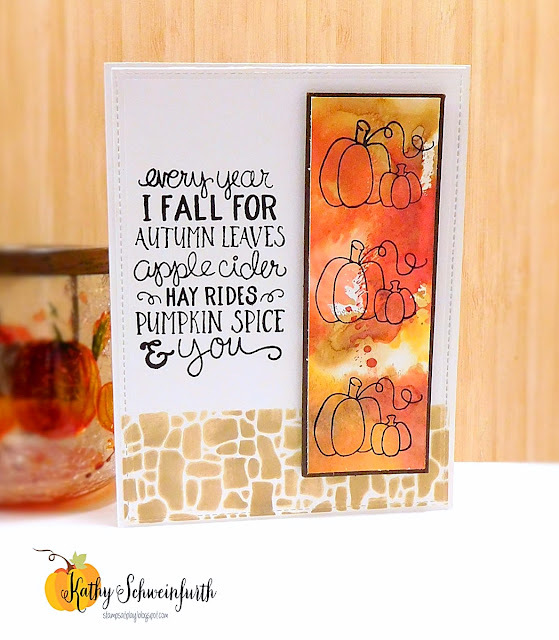 Kathy Schweinfurth uses distress oxide inks to create a beautiful background to showcase the pumpkins from Fall-ing for You stamp set. The stenciling adds a nice contrast. Laura incorporates the colors of autumn beautifully with this gorgeous bouquet of flowers using Lovely Blooms stamp and die set. Her coloring of the flowers and the jar are remarkable!